New ideas. Butterflies in the stomach! The desire to do something new. Starting small, growing everyday and weaving dreams of making things big. Perhaps in time get funded and acquired as well! But dreams can only take you so far. For turning these ideas and thoughts into reality, one needs to put in some real hard work. There’s got to be a plan that needs to have a checklist. The best to-do lists are those that covers a start-to-end plan and gets into the details of how to reach the targets. To make things simple, we have a Ten Step startup checklist to make sure you start on the correct foot. It is important to understand from the very first day that a startup can only be successful if it is making money. But simply earning is never enough because in this digital age there is no such thing as a loyal customer. One can easily buy something from you and forget you – after all you are just a tab in someone’s browser with dozens others! Plan a subscription system – make sure your customers pay you monthly. The subscription amount can be low, it does not matters. If you are able to generate paying customers then you are already on the right path. In time, simply focus on scaling. The only solution here is to setup an Auto Responder Series. It might cost you some funds to get a 15 to 20 Email auto-responder series but in time it will become a path for the lead to qualify as a sale and perhaps even be a loyal paying subscriber! A Business has many sides. There are people who are best known for sharing content, there are other who like to buy things but don’t want to commit as a paying subscriber. Others are simply people who like to read your content but does not want to take any action. Yet some others only reply back and send you feedback. People can be categorised based on locations, interests, festival or events. Someone interested to buy Christmas toys might not be necessarily interested in buying winter clothing. If you have a separate landing page for as many things as possible, you can catch as many type of leads as well. People always like freebies. It is easy to catch members with free stuff, giveaways and contests etc. Once you have them, let them enjoy their free and yet limited membership. Keep the basic features free due to which they won’t leave you and from time to time, throw some paid offers at them. Every paid offer will get a few conversions and your pool of paid members will keep rising. If you are looking for genuine feedback then perhaps Crowd Speaking is your best option. Before starting your business it is important to know if there is enough demand of your services in the market. You should be sure if people are genuinely interested in what you are trying to sell. It is easy for people to give you a positive feedback but the same people won’t give you a tweet, like or a share on their social timelines. 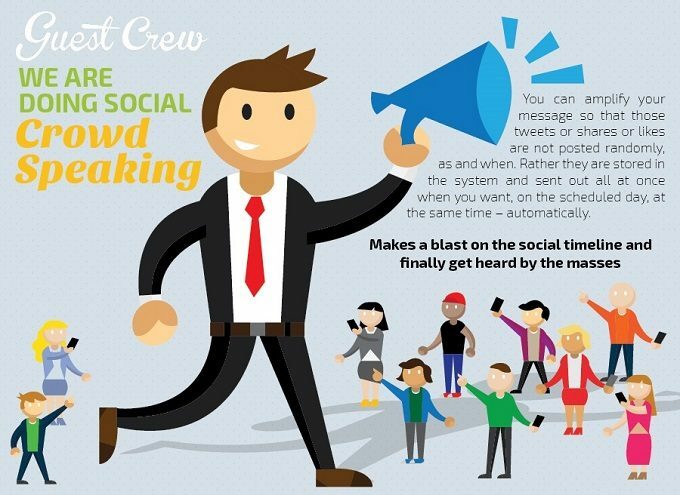 With crowd speaking, you can ask your followers and friends to support you on the social media. If you manage enough support then your idea has a good future, if not – then I guess it is time to start re-evaluating! Once your mind makeup is done and you are confident into getting in an online business, it is time to secure your brand names. Register your domain, then with the same domain name register on as many social sites as you can. Start with – Twitter, facebook, Linkedin, Google+ and so on. The more the better – even if they are small social sites, don’t hesitate to register your brand name. Better you have it than someone else! Once your domain and social names are ready, it is time to get a web hosting. Even a cheap single hosting account will do and in time when your business will grow you can upgrade to one of the strong VPS plans or perhaps even go for a Dedicated Server. Your website and your apps will take time to get ready – but that shouldn’t keep you waiting. While your technical team is working around your business, you can start working on your blog. It is easy to add some content, perhaps one or two blog post a week and keep it active. Do note that having a blog isn’t just about adding content – it is also about having a community. Building a community around your blog will create a loyal readership base, these same people will be your first customers when you launch your business. There are some places on the internet, like Quora, Reddit, Steemit Niche forums etc. where the activity is very high. If you are active in a place like this, you can contribute your answers and once in a while – drop a link from your website where it’s relevant. To do this, you have to build up a really strong following – have plenty of followers, contribute great content over a period of time. All this takes time, so while your business is getting ready – use the meantime to build up a profile on a few of these networks. Now that you are really close to starting a business, it is important that you start looking into others who are in your space. Check the sort of customer feedback they have – look up their reviews on blogs and social sites … check their site’s SEO and link profile. 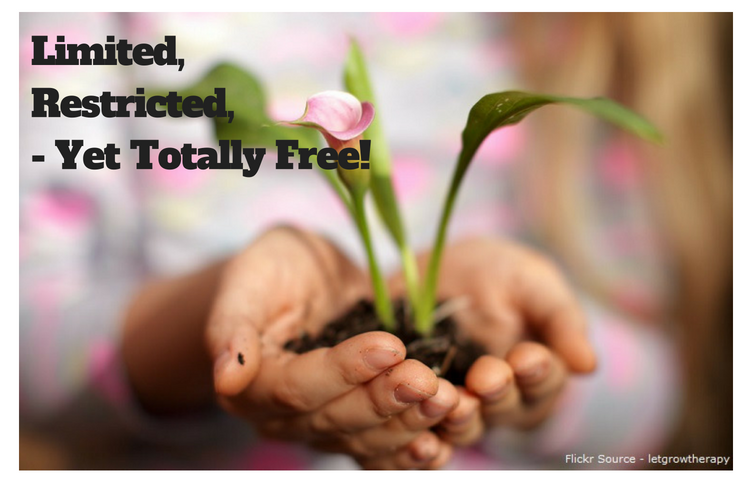 See how they add content on their blogs and how they catch leads. Check into their advertisements that they run on Adwords and other platforms. Business is always a serious thing, there’s money involved! Do a thorough analysis and see how your competitors are going. Finally, it is time to get things started. You want to have a launch pad for your business, you need funds, customers, sales and so many things. 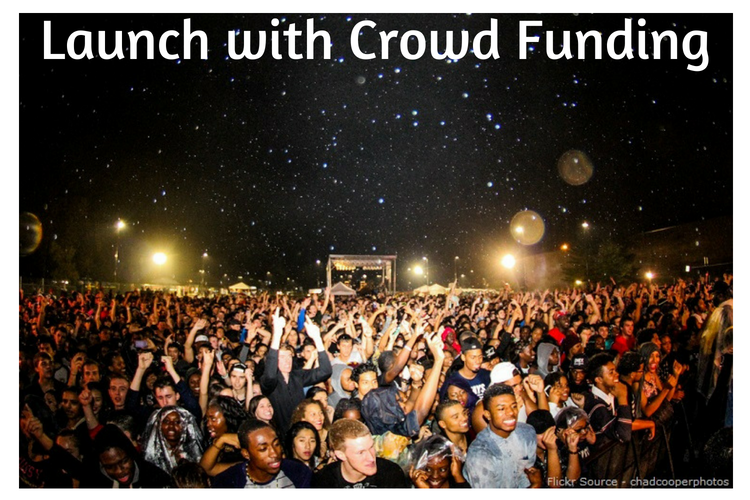 This is where crowd funding can help you get started. Remember, crowd funding isn’t about raising money – it is about building a loyal base of customers who are going to test drive your product even before you have started manufacturing! These are the people who will pre-order what you are planning to make. You might not reach enough people at your first attempt, perhaps you won’t even recover the money that you are going to spend in the Crowd Funding promotions. But that is still all right as you will have at least some customers on your launch day. What do we have here, Oleg? Another great post? Yes! It is. These 10 must-have are a starting point for every startup. My takeaway is the “start a blog.” it it of great importance to start a blog as it helps you build a loyal readership who will eventually become you first customers. However, in a post I published yesterday about “hoe to regularly come up with blog topic ideas,” I highlight a compiled research by HubSpot with statistics of businesses and companies that have blogs. The stats shows that these businesses are doing great than their counterparts without blog. In fact, a reasonable percentage of these companies acquired more leads from their blog. Worth reading, keep it up!! Really interesting Article. It is really important to convert and salvage the leads that you are getting. Otherwise there is no point in actually obtaining them. Besides for any startup it is important to know the competition and to develop a strategy to move past it. Excellent post with great information. Blog is a very important part os a site. It gives an idea of your site and create interest for your business. Nice article Oleg, keep up the good work! Hey there, Thank you for such an amazing article. Worth to Read. I think this things will also help me to start a blog. Really interesting and great Article Oleg. 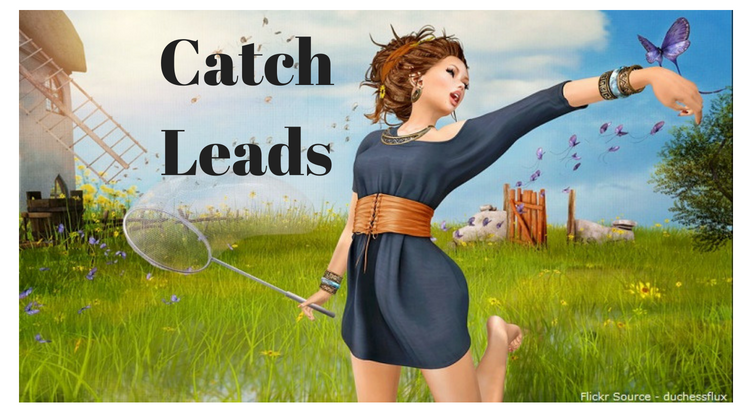 It is really important to convert and salvage the leads that you are getting. Otherwise there is no point in actually obtaining them. I like to read well-written articles. It looks like you spent a lot of time and effort on your blog. Thanks for sharing the checklist. That is a very informative article for someone looking to launch their own company! Great post! You have shared a very good post with in-depth information. As a new blogger I am glad I landed on your page. There is so much to learn form you post. I will try to follow your suggestions and see how it goes. 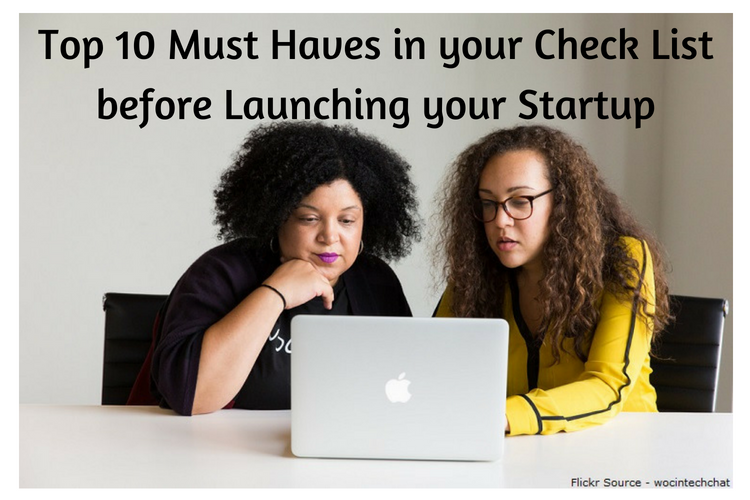 Thank you Oleg Kaluger for share this awesome checklist to launching a startup. It is the very helpful article for those who starting her business. The most important part to start a business is to know that your target audience searching for what and give that product or service free or at low cost to grow a business instantly. Please check all this checklist before starting a business.